POLYWOOD Adirondack Furniture as well as Poly Lumber Furniture is virtually maintenance free - easy care means no worries. 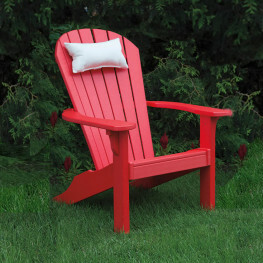 Your casual, low maintenance life begins with POLYWOOD or Poly Lumber Adirondack furniture which is made from recycled milk jugs that are converted into recycled plastic lumber. POLYWOOD Adirondack Furniture will remain unscathed by the elements even after years of exposure requiring no sanding, painting, staining and poly furniture will not rot or splinter. You can choose from a variety of poly lumber colors from Teak Adirondack furniture to pink and several different styles all to accent your outdoor patio. 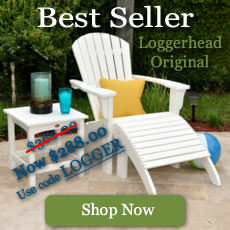 Shop POLYWOOD & Poly Lumber Outdoor Adirondack Furniture by Category. POLYWOOD Adirondack & Poly Lumber Adirondack Collections- Sit back, relax and enjoy! What is the difference between a POLYWOOD® Adirondack chair vs. a poly Adirondack chair? POLYWOOD® is a registered trademark of the originators of recycled poly furniture, Poly-Wood, LLC. POLYWOOD adirondack chairs are manufactured right here in the USA using a precise process to purify, color and shape the poly material before creating beautiful, maintenance-free outdoor furniture. POLYWOOD® chairs warrantied for 20 years and will not splinter, crack, chip, peel or rot, and are resistant to stains, corrosive substanced, salt spray and other environmental stresses. Our other poly Adirondack chairs are all made in the USA - several carry a 20-year warranty and all are built for year-round use. 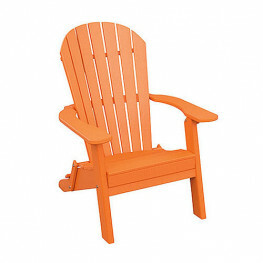 Poly Adirondack chairs also boast a low-to-no maintenance care. 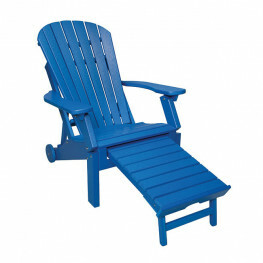 Whether you choose a poly Adirondack chair or a POLYWOOD® Adirondack chair from Premium Poly Patios; You can rest assured you are getting a high-quality, low-to-no maintenance, long-lasting, durable Adirondack chair built to last for many years to come. Best Adirondacks on the Web. Hundreds to chose from.